Hey Scooter good luck with the new venture and I hope to see you at some races. Hi Scooter. Im from GA but I have family in Hamilton Ohio. Any chance you will be running at TriState on Rt 4, or at Joyce park? Maybe I will see you there. Good Luck Scooter. Great to see the name back. some of the best stuff I ran came from Scooters MotorWorks!! i WANT TO THANK every one who has contacted me about SCOOTERS getting back into business. i will be releasing TWO new lipo battery PACKS shortly.i Am sending them in for Roar approval now. i Will be releasing / a5300 25c AND A 3800 30cboth BATTERY PACKS COME PRE-WIRED WITH DEANS PLUG. ARE ALSO TESTING A NEW MICRO SYSTEM THIS WEEKEND. i WILL BE PUTTING TOGETHER A NEW RACE TEAM CONTACT ME THROUGH MY WEB SITE. WWW. SCOOTERS MOTORWORKS.COM i WILL POST SOME PICTURES LATER I want to thank every one who contacted me about my recent illness. Last edited by Scooter SMW; 01-12-2009 at 07:23 PM. newpower pack batteries are in stock. 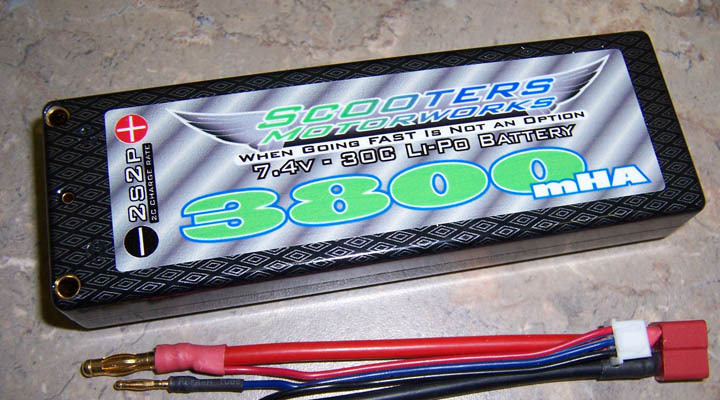 call stormers hobbies 3800 30c hard case lipo $89.99. 5300 25 C hard case lipo $99.99, just waiting ion Roar for their approval should be any day now. i have sold almost 200 of these batteries so far with nothing but good responses from drivers and dealers. coming soon new micro brushless esc sensorless technology that works and for a great price. under $95.00comes with a program card no added cost or the need for a lap top at the race track. newpower pack batteries are in stock. 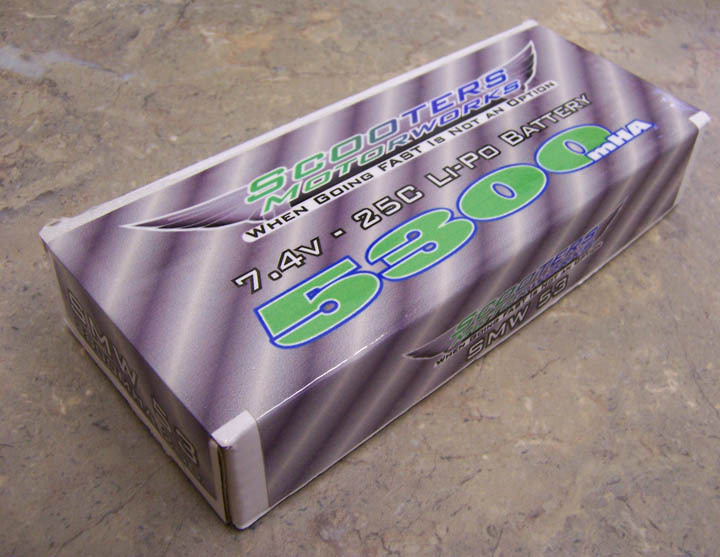 call stormer hobbies 3800 30c hard case lipo $89.99. 5300 25 C hard case lipo $99.99, just waiting ion Roar for their approval should be any day now. i have sold almost 200 of these batteries so far with nothing but good responses from drivers and dealers. All times are GMT -7. It is currently 06:13 AM.